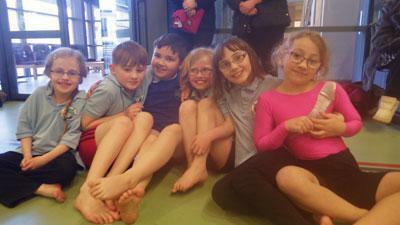 On Friday 4th March, three teams from our school took part in the Key Steps Gymnastics competition. 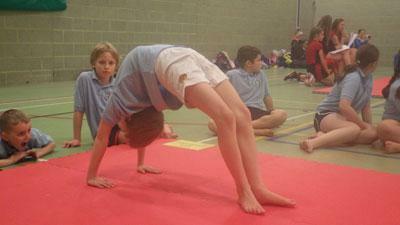 There were lots of other local schools taking part in the event at Appleby Grammar School. 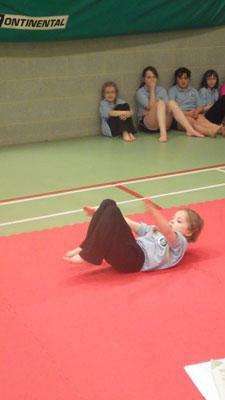 Each Key Step group had to perform a floor routine, a vault and some body management exercises. The Step One team were Braedon, Amber, Orson, Emily and Oliver. The Step Two team were Darcey, Jay, Oleina, Sarah, Herbie and Amy and the Step Three team were Adam, Max, Thomas H, Thomas N, Sophie and Bethany. The judges were students from AGS and some of them were ex-pupils from Asby such as Lucy, Naomi and Lucy. All teams performed very well and were given certificates.